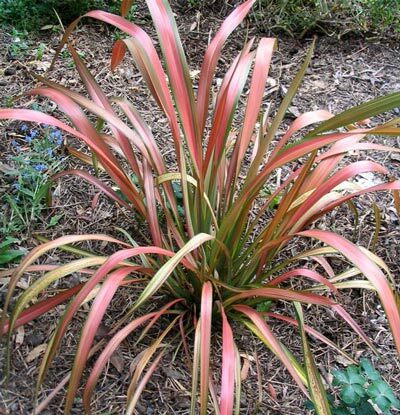 New coloured flax (Phormium) hybrids are released in New Zealand every year. The latest pink toned one is called Jester, and I have three growing in different parts of my garden. 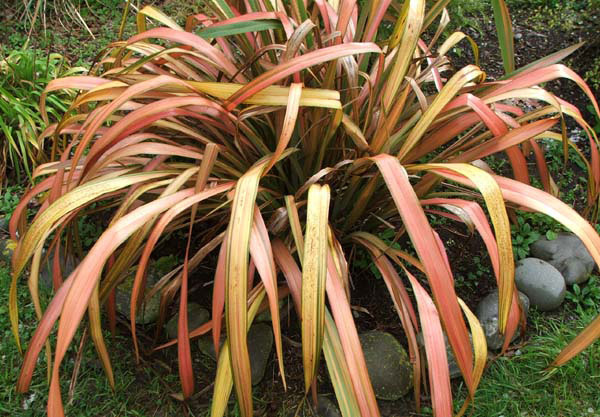 The coloured hybrid flax Jester has leaves which are bi-coloured - a warm pink and a mid sage green. It's a stunning colour combination in one plant. My first Jester flax was planted with fresh air and space to breathe - along from the Willow tree in the spacious Eggy Garden. I will have to make sure the flax doesn't get crowded out, though. I also have a Jester flax which theoretically I can see from the house. This plant unfortunately tends to get overwhelmed by white flowering Lychnis in summer, and hard to see (until I get annoyed and pull the Lychnis out). It's growing on the edge of the Jelly Bean Garden. 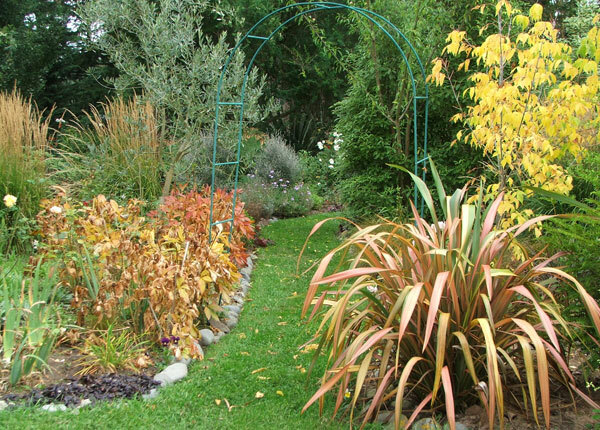 By winter, when the garden is quite bare, the warm colours are a delight to see.